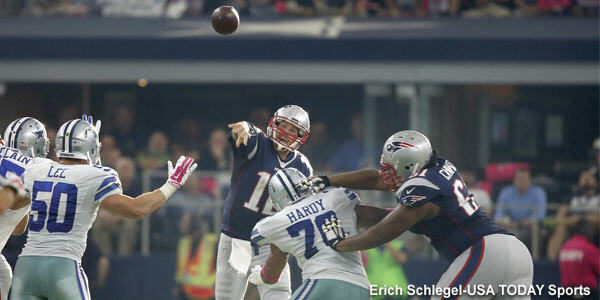 Dallas’ defense had some surprises for the Patriots in the early going, but in the end, Tom Brady and the Patriots scored another 30 points and the Patriots cruised to a 30-6 win over the Cowboys in Dallas on Sunday afternoon. Dallas defensive coordinator Rod Marinelli had some wrinkles for the Pats that Brady and Bill Belichick had admittedly never seen before. The result was a revitalized defense with the return of Rolando McClain and Greg Hardy battering Brady about for most of the first half and sacking him five times, the most since a 2001 game against the Bills while keeping the score close. Belichick said in his press conference that Marinelli, unlike what he expected, came up with an innovative game plan where the Cowboys were playing dime defense with six defensive backs and a 3-2 front with McClain and Sean Lee in the middle. They could bring pressure with five, or drop them into coverage and the pressure from the edge from Hardy was a disruptive influence during the first half. But Brady and OC Josh McDaniels adjusted and the Patriots went smash-mouth with a three tight end set with big LaGarrette Blount paving the way with 17 carries for 74 yards. Once Blount started opening up some room the passing game began to ignite and the pass protection improved. Brady, who was 10-16 for 110 yards in the first half, was nearly perfect in the second half going 10-11 for 175 yards and two touchdowns. 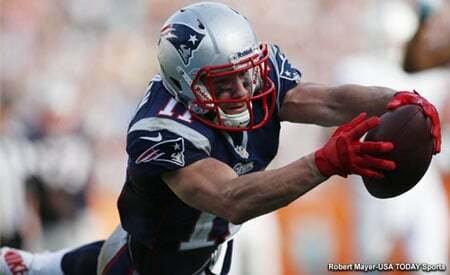 Brady also scored on a one-yard touchdown run that culminated with a Gronk-type spike in the end zone. He hit Julian Edelman on a 59-yard touchdown catch and run and Dion Lewis with an 11-yard touchdown pass that saw the waterbug running back make three Cowboys whiff….more on that later. Defense plays lights out: The Patriots defense was facing an admittedly short-handed Dallas offense that was missing Tony Romo, Dez Bryant and Lance Dunbar. And face it….Brandon Weeden is awful, but a lot of credit has to go to the defense and DC Matt Patricia for putting together a good game plan on taking away their two most dependable weapons in TE Jason Witten and WR Cole Beasley and forcing Weeden and lesser players to beat them. It worked to perfection; Beasley said on Dallas television that he’d never seen that many double-teams in his career and the Pats defense rotated coverage on Witten and chipped him coming off the line. Weeden seemed unable to process the play unfolding before him and just threw check-down after check-down, and the results were easy to see. Jabaal Sheard who had an excellent game with two sacks and was excellent in run support said it best….”Did they score?” And other than two field goals the Patriots held them out of the end zone. Six three-and-outs on offense in the first half was testament to how well they were prepared. Jamie Collins was fantastic once again; flying all over the field and making plays, he’s quickly becoming one of the top linebackers in the game. Hightower/Solder Hurt: The team lost two key components on Sunday with Dont’a Hightower suffering a rib injury in the first quarter and Nate Solder with an elbow injury. Neither returned to the game. Hightower was already having a big first half when he went down in a scrum after a running play. 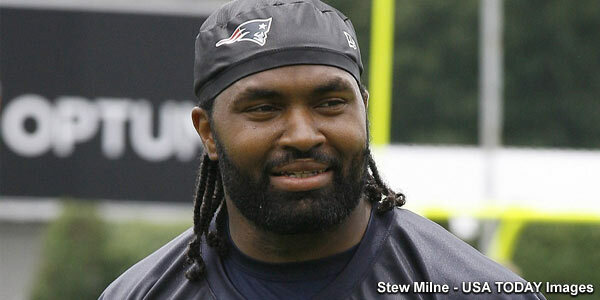 His loss meant more snaps for veteran Jerod Mayo who was very solid in the running game and was filling the gaps very well. But Mayo isn’t the accomplished blitzer that Hightower is and may be missed. 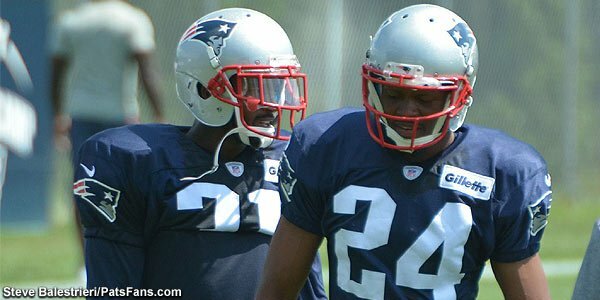 Solder was replaced by Marcus Cannon who filled in well. Both of these injuries will bear watching next week and in the near future. Dion Lewis Proves his worth again: The Patriots were suitably impressed with RB Dion Lewis and rewarded him with a two-year contract extension this week. Lewis was once again a key member of the offense and his touchdown pass and run was another example of his ability to make people miss. He caught a pass from Brady and made three Cowboys defenders whiff on him as he slid into the end zone for a big touchdown that essentially put the game away. He’s showing, week after week that he’s been the steal of the offseason and the Patriots were quite fortunate to sign him. AT&T Stadium A Visual Treat: Being down in the Dallas area this week, it has been a happening place. The Texas State Fair is in full swing, the Texas – OU game on Saturday, followed by the Cowboys – Patriots and the Texas Rangers in the baseball playoffs have been a smorgasbord of great things to do. Taking in some outstanding high school football was an even bigger bonus. But AT&T Stadium is visually stunning, holding nearly 100,000 people, it is a mixture of the Roman Coliseum and Vegas glitz and glamour. The seats all have great views and the huge screen above the field is simply amazing. The staff there was extremely courteous and helpful at every turn. It should be on every football fan’s bucket list to attend a game there at some time. The Patriots are 4-0 and now the season starts in earnest….its on to Indianapolis. This entry was posted in Patriots Commentary, Patriots News and tagged 2015 NFL Season, Bill Belichick, Brandon Weeden, Chandler Jones, Cole Beasley, Dallas Cowboys, Dez Bryant, Greg Hardy, Jabaal Sheard, Jason Witten, Julian Edelman, LaGarrette Blount, Malcolm Butler, New England Patriots, NFL, Patriots, Rob Gronkowski, Rob Ninkovich, Rolando McClain, Sean Lee, Social Media, Tom Brady, Tony Romo on October 12, 2015 by Steve Balestrieri. The New England Patriots head out on the road for a matchup with the Dallas Cowboys at AT&T Stadium in Dallas on Sunday. Kickoff is scheduled for 4:25 p.m. The game will be televised by CBS with their top announcing crew of Jim Nantz and Phil Simms on the call. Dallas (2-2), has dropped two straight after losing QB Tony Romo, and is looking for some home cooking to get back on track. They lost Dez Bryant to injury after a Week 1 win over the Giants. He’s expected back after Week 6. Romo broke his collarbone against the Eagles and is expected to return around Week 11. Brandon Weeden has stepped in at quarterback and has played well albeit in losing both games. However it was the defense that has also been extremely depleted by injury that was the major cause of their losses. In the loss to the Saints on Sunday night the team lost LB Sean Lee to a concussion and RB Lance Dunbar to a serious knee injury. New England (3-0), spent last week on a bye after crushing the Jacksonville Jaguars 51-17 at home in Week 3. Tom Brady joined the 400 touchdown club and Stephen Gostkowski set a new NFL record with his 423rd consecutive extra point kick, which is now 425 and counting. The Patriots scored every time they had the ball until taking a knee with less than a minute to go. Series History: The Patriots and Cowboys have only met 11 times in their history with Dallas winning the first seven matchups and the Patriots taking the last four. The Patriots are 1-4 in Dallas with the only victory a 48-27 victory in 2007 in a meeting between two unbeaten teams at the time. The teams haven’t met since 2011 with New England holding on for a 2016 win. Like the Patriots last opponent Jacksonville, the Cowboys are a team that we don’t see very much in terms of playing New England. So the foe on both sides is a little unfamiliar. 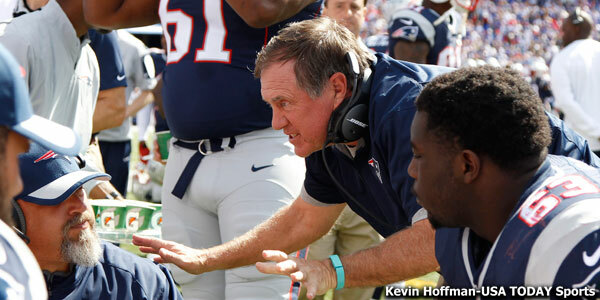 This entry was posted in Patriots Commentary, Patriots News and tagged 2015 NFL Season, Bill Belichick, Brandon Weeden, Dallas Cowboys, Danny Amendola, Dez Bryant, Greg Hardy, Jabaal Sheard, Jason Witten, Julian Edelman, Lance Dunbar, Malcolm Butler, New England Patriots, NFL, Patriots, Patriots edge rushers, predictions, Rob Gronkowski, Rob Ninkovich, Sean Lee, Tom Brady, Tony Romo on October 8, 2015 by Steve Balestrieri.